St Thomas Suites is a 176-unit freehold condominium located along St Thomas Walk which consists of two landmark 33-storey towers. St Thomas Suites offer the absolute finest in luxury condominium living where true style meets ultimate pleasure. Nothing else comes close to St Thomas Suites for spaciousness, luxury, iconic architecture or convenience. As is only befitting of its iconic status, St Thomas Suites offers the finest in condominium facilities including private function room with spa, a cigar room, and a unique swimming pool featuring an infinity edge overflow. The beautifully landscaped grounds reflect the leafy neighbourhood that surrounds this exclusive residence. St Thomas Suites offers the perfect blend of modern luxury and convenience with timeless elegance and style. At St Thomas Suites, no effort has been spared to ensure that the occupants enjoy the most luxurious of living standards. From floor-to-ceiling windows and wide-spanning curved balconies to spacious bedrooms with ensuite bathrooms and walk-in wardrobes, every unit at St Thomas Suites offers plenty of well-designed space. At St Thomas Suites, the spacious island concept kitchen allows one to indulge in their creative culinary inspirations. With leading brand name kitchenware and luxury finishes, St Thomas Suites fulfils the dreams of even the most ardent of gourmet chefs. At St Thomas Suites the entire city is at your beck and call. The glamour of Orchard Road and the buzz and excitement of the business district lie just beyond the boundaries of an elegant garden sanctuary. Located right at the edge of Orchard Road, which is one of the world’s most famous shopping and entertainment destinations. The finest designer brands and splendid shopping malls flank this renowned shopping mecca, while luxury hotels, superb restaurants and exciting nightspots abound. St Thomas Suites is a stone's throw away from the Somerset MRT Station which ensures quick accessibility to the Central Business District (CBD) and the rest of Singapore. 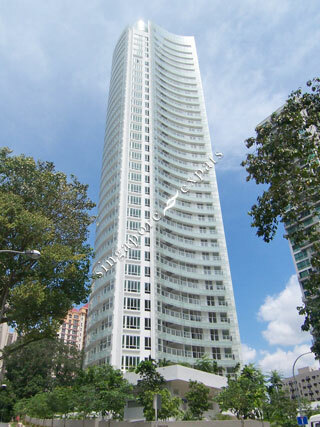 3 year old condominium with excellent construction quality and fantastic location.